Home » Credit » Credit card » Do the Credit Card Offers You Receive Reflect Your Personality? Do the Credit Card Offers You Receive Reflect Your Personality? As competition increases, card companies use technically developed and unique ways to attract new customers. A commonly used technique is to send emails to prospective customers detailing the latest card-related offers. Recently, MIT economists studied over a million of credit card mailings and revealed some interesting facts. They analyzed the offers in the emails sent to prospective customers and studied the education and income of the various recipients. Most credit card companies send emails to affluent people offering mileage, reward points, and cash back offers. Such cards cater to the educated and wealthy customers. Individuals in this demographic category often spend more on their cards. Furthermore, they are more likely to travel frequently and appreciate earning mileage on their cards. Such products also include other attractive features to solicit new customers. Although these cards may levy a higher rate of interest, the late payment fees are lower than other financial products. This is because card companies prefer to earn more profits through higher usage instead of levying more fees for occasional late payments. Credit card offers for this category primarily focus on providing lower annual percentage rate (APR) during the introductory period. However, the cards often incur higher late payment fees and penalty finance charges in the case of delay in bill payment. Moreover, the regular APR at the end of the introductory period is higher because the users in this category have lower credit. Card companies earn profits in three ways. They collect merchant fees when users swipe their cards for purchases. In addition, the companies earn interest on the balance. Lastly, they levy finance charges and late payment fees in case of delays or if the users exceed their available card limit. Some unscrupulous card companies may try to take advantage of customers who do not fully understand rates of interest and penalties. The companies may offer lower introductory APR and earn more when the card users are unable to follow the terms and conditions. However, this may be possible only when the users do not have sound financial knowledge. Fortunately, most people today are knowledgeable and ensure their finances are managed properly. Furthermore, card companies face strong competition and offer simple products with no hidden terms and conditions or fees and charges. Moreover, cardholders may easily move to another card service provider if they face any trouble with their existing company. This prevents card companies from making offers that may turn the users away from their products. Since card companies offer products catered to people based on their demographic profile it is important that individuals spend some time in conducting extensive research. There are several online blogs, forums, and other resources providing beneficial information to prospective card users. 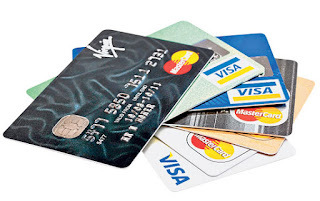 Reading this information and understanding how credit cards work before applying for one is highly advisable. Most individuals want to maximize the benefits through the best offers on their cards. However, they must nor rush into their decision and take the time to research all the options that are available.